Redmond is known for his speed and trickery on the wing. 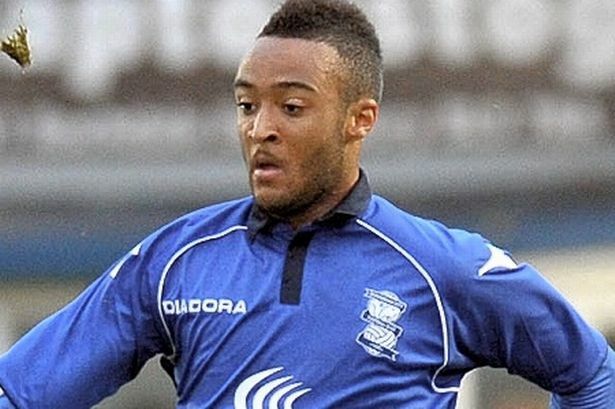 Norwich City have secured the signing of Birmingham’s Nathan Redmond. The price is a rumoured £2m with add-ons which could allow the deal to rise as high as £3.2m. The Youth Radar told readers in April that 19-year-old Redmond was ready to be offloaded in a bid for Birmigham to raise funds ahead of another Championship season. “Nathan is a young and exciting player that I had the pleasure of working with at Birmingham,” Chris Hughton told Norwich’s official club website. “He is a player that was of interest to us for some time and the situation has now come about that we can get him on our terms. “He’s someone we can bring in to the forward areas and primarily has played on either wing in his career so far, but can also play off the front. “He’s very keen to develop his own game, he’s one of these lads that likes to be on the training pitch and is usually one of the last ones off the training pitch. At just 17-years-old Redmond was promised to be England’s next big thing. This was cemented when he appeared for the Blues in the Europa League and grabbed himself man-of-the-match against Nacionale. Since, Redmond has continued to be a Blues regular and has appeared for England at every youth level, being part of the FIFA U20 World Cup squad that travelled to Turkey this summer.